Over the Top - Wisdom is the retention of innocence through adversity. 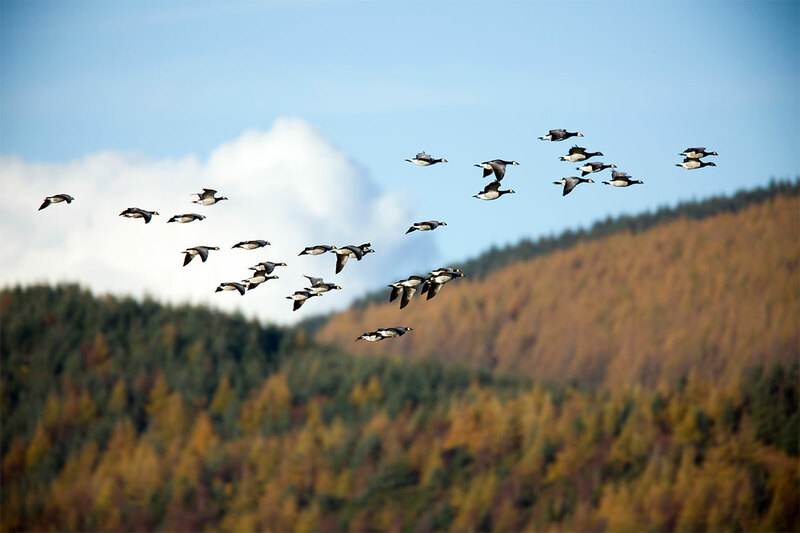 Barnacle geese are accelerating their migration journeys and taking fewer rest stops along the way to cope with early Arctic springs caused by a warming climate. Spring in the Arctic is starting earlier and earlier because of rising temperatures, and barnacle geese (Branta leucopsis) are speeding up their annual trip in a rush for breeding spots, with devastating consequences for newly hatched goose chicks. Migrating geese race to warmer Arctic but are too worn out to lay their eggs early when they get there. Biologists present a study on a Northern Spotted Owl pedigree, consisting of almost 14,200 individuals over 30 years, which determined inbreeding varies across the species' range. A new study presents negative associations between anthropogenic disturbance (human recreational use of beaches, coastal modifications) and piping plovers on their non-breeding grounds. A new study presents some of the best guidance to date on the priorities and actions that can be taken to help Hawaii's endemic birds. This article lays out a plan to better guide and empower conservation efforts for Hawaiian birds. Leaning out of an ultralight aircraft, Corinna Esterer turns toward a flock of peculiar black birds soaring just a few metres away. “Come, come ibis,” she yells through her megaphone. Drawn by Esterer’s voice, the birds dart to the aircraft, and follow it to a field overlooking Lake Constance in southern Germany. Once on the ground, the ibis flock to Esterer. To the birds, the young woman is their parent. For more than 300 years, the northern bald ibis has been extinct in the wild in central Europe, with small populations surviving only in zoos. But recently, it has celebrated a slow but steady comeback thanks to human foster parents who have shown the birds how to migrate south by leading the way in ultralight aircraft. (See also - Bird poop helps keep coral reefs healthy, but rats are messing that up).